A match-fixing scandal or just some irregularities? That is one of the questions concerning the Ukrainian Persha Liha match between Volyn Lutsk and Helios Kharkiv. The match took place on April 27 and relegation candidate Volyn ended up beating sixth-placed Helios 1-0. It was the sort of result that could make a difference at the end of the season and allow Volyn to stay in the league. Helios, in the meantime, are 20 points of the top three and, therefore, have very little to play for in the remaining games of the 2017/18 season. According to the Ukrainian sports homepage Tribuna the president of the Professional Football Leagues, the governing body of the second and third division, Sergey Makarov reported that the Committee for Ethics and Fair Play started an investigation into the match. “We had information before the start of the game that can be a game with a fixed result. We have informed the Committee on Ethics and Fair Play, and after what happened all of our materials are transferred to the same,” Makarov explained. As far as we know, we are under investigation. Naturally, we wish only the early results of this investigation,” Makarov concluded. The Ukrainian sports journalist Artem Frankov in the meantime was adamant that a full investigation of the match is needed. Frankov pointed out that Volyn, despite being in the relegation zone had favourable odds to win the match, which in turn suggests that large amounts of money was bet on Volyn winning the match. Frankov, in fact, believes that despite the promises by the head of the Football Federation of Ukraine Andriy Pavelko very little has been done to tackle the problems of match-fixing in Ukrainian football. The journalist called Pavelko out to finally conduct a full investigation into the problem and to root out all the problems that are involved in match-fixing in Ukraine. But while an investigation is needed one of the main problems of match-fixing in Ukrainian football is the lack of finances. Even before the war in the country, many Ukrainian clubs were desperate to generate cash. The conflict in the Donbass has exasperated the structural weaknesses of the country and football dependence on the oligarchs. The problem of match-fixing in Ukraine was, in fact, one of the major topics on this week’s Futbolgrad Podcast. 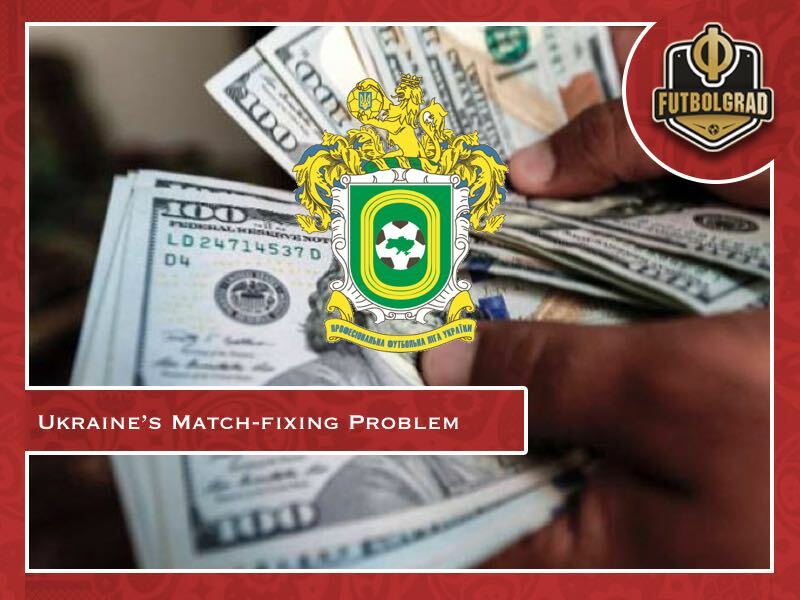 Futbolgrad’s Ukraine expert Vadim Furmanov rightly pointed out in the podcast that clubs simply need the resources generated through match-fixing in order to survive. Hence, clubs are willing to close their eyes to the problems in order to generate cash. Only in few instances do clubs actively oppose the problem. Instead, clubs allow many games, especially at the youth level where there are no cameras, to be thrown in order to fill gaps in the budget. The lack of finances also, however, generates another problem. 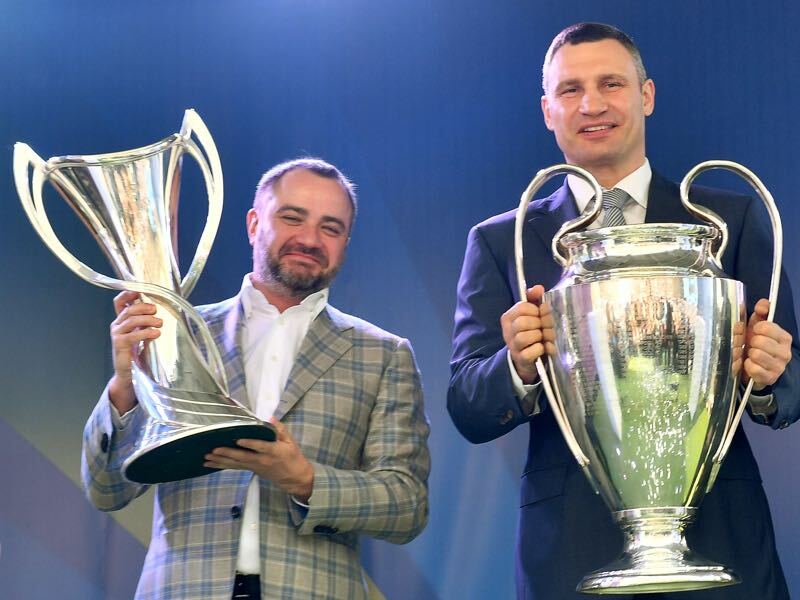 The big clubs Dynamo Kyiv and Shakhtar Donetsk have built a system in which they pay bonuses to smaller clubs in order to beat their opponents. Called chemodany (suitcases in which the money is transported) both clubs subsidize large parts of the league against one another. This system is not exclusive to Ukrainian football but in a competition where many clubs struggle to make ends meet this system can easily cross a small line from simply paying bonuses to outright match-fixing or arranging, what is called friendly matches, in which two teams agree on a result that suits everyone involved. Both practices go back to the Soviet Union and together with the financial difficulties of many clubs that system has created an environment in which match-fixing is officially illegal, but is also somewhat tolerated.